Happy November friends, I know today is only the 3rd, but I hope this month has brought you joy so far. Today I am here with my inspiration card for the November Challenge. For this project I used the Moroccan Tiles Double Stencil set as well as the Friends Die and Glass drops from DCAM. 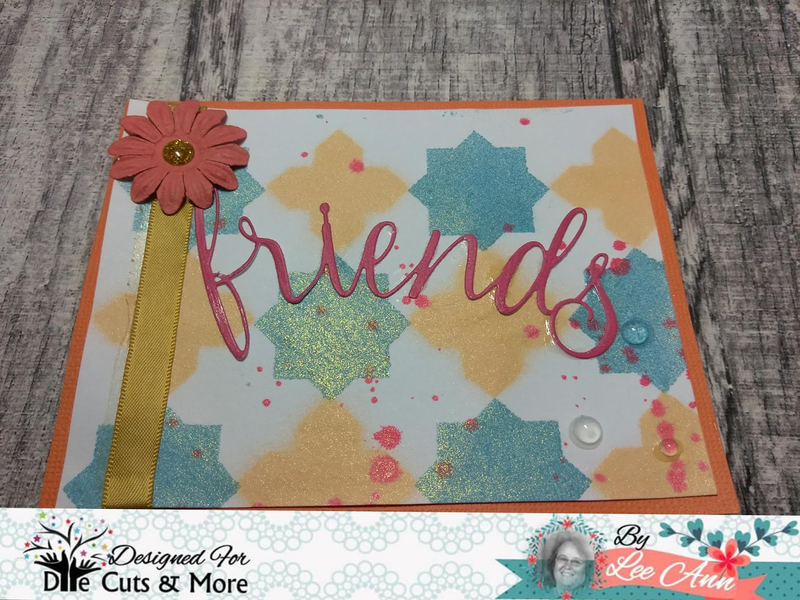 I also used Shimmer Misting Sprays to work with my stencils to add the shiny look. 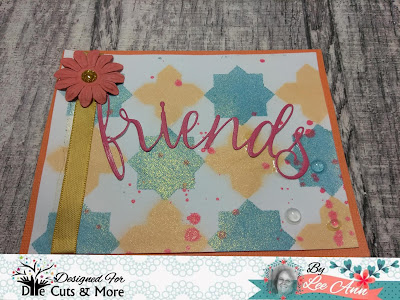 So, grab your stencils, inks and have some fun, use at least 3 of the colors included in the palatte below and link your project up to the DCAM post. Using DCAM stencil is not required however you will gain an extra entry by doing so. Challenge will run through November 29, 6am IST, and Winner will be announced November 30, 6am IST. Looking forward to seeing all the great entries.